Last weekend, Franklin, Tennessee had over 15 inches of rain within 30 hours. In my 53 years, I don’t think I’ve ever witnessed as much water in such a short period of time. 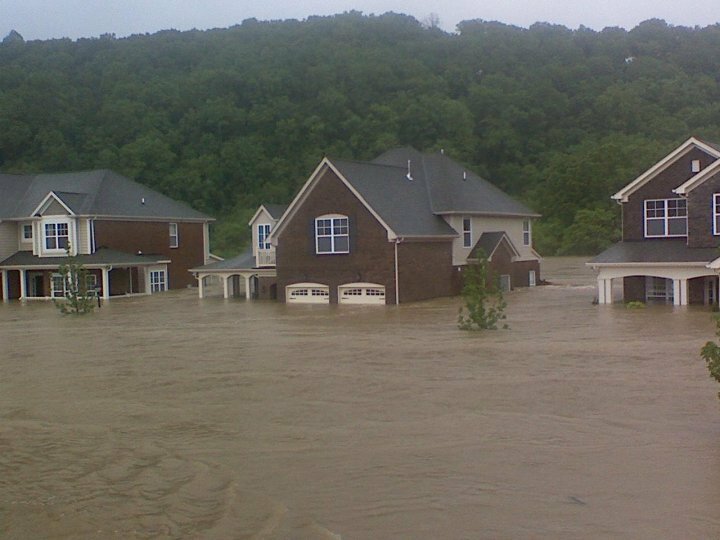 There was flooding all over the Middle Tennessee area causing death and devastation affecting so many people. With it comes so much uncertainty about life on earth. Relatives and friends are sick and dying, people losing jobs, children and spouses abused, divorce all over the globe, and I could go on and on. You can get so easily discouraged if you let this world fill your thoughts with all the suffering and misery that goes with it. One thing is for certain and for sure, God loves mankind and proved it by sending His one and only begotten Son to the cross. Although people change over the years and relationships come and go with friends and family members , Jesus hasn’t and doesn’t change, and never will. Hebrews 13:8 says, “Jesus is the same yesterday and today, yes and forever.” Is there anything more comforting than the thought of God never changing! Man has always been able to count on God for every situation in life. That is such a comforting thought in this day and time. Even though we have been blessed in this country and have so much, life is a challenge and we are constantly facing the temptations of life. We have decisions to make every day, and God is the only one that we can count on daily, 100% of the time, to be there with us and for me as I trust in him and serve him. No matter what I encounter in this life, through today’s challenges and victories, and tomorrow’s losses, the Bible tells me there is a foundation and anchor in my soul whom I can count on. That person is Jesus Christ, who is with me, and getting me through every situation and temptation in life. So, as the Hebrew writer encourages the Christian in chapter 13, and verse 6, by writing, “so that we can confidently say, The Lord is my helper, I will not be afraid. What shall man do to me?” (Hebrews 13:6). I can’t state it any plainer than the Bible.